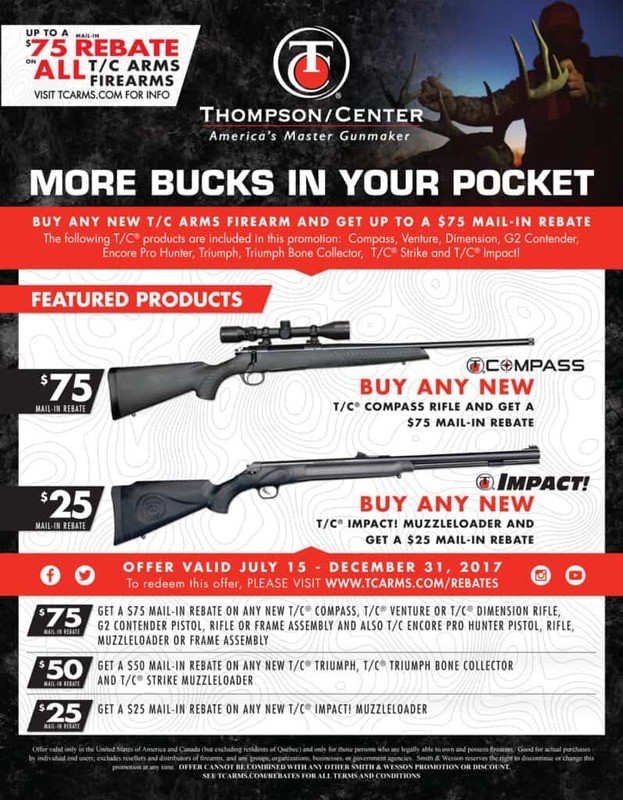 SPRINGFIELD, Mass., (July 14, 2017) – (ArmsVault.com) – Thompson/Center Arms today announced the launch of the new “More Bucks in Your Pocket” mail-in rebate program, valid from July 15, 2017 to December 31, 2017. 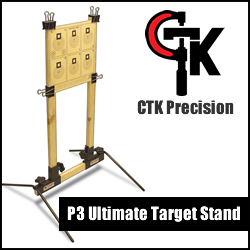 Consumers purchasing a new, qualifying T/C Compass®, Venture™, Dimension®, G2 Contender®, Encore® Pro Hunter™, Triumph®, Triumph® Bone Collector®, T/C® Strike™ and T/C® Impact!™ will be eligible to receive up to a $75 mail-in cash rebate. 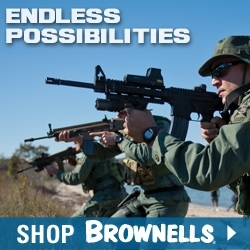 Since 1967, Thompson/Center Arms has been synonymous with firearms that stand up in the toughest situations and perform when it counts. 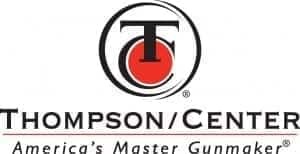 Thompson/Center designs and manufactures American-made products that deliver the value and reliability that hunting and shooting enthusiasts expect from the Thompson /Center brand, while providing knowledgeable support and a limited lifetime warranty. All submissions must include proof of purchase and be submitted on or before January 31, 2018. For more information regarding the “More Bucks in Your Pocket” rebate, please visit www.tcarms.com, or contact customer service at (800) 331-0852 ext. 4125. 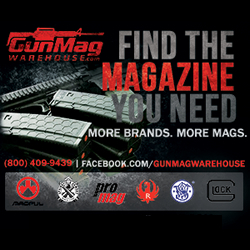 About Smith & Wesson Corp.
Smith & Wesson Corp. is a provider of quality firearms for personnel protection, target shooting and hunting in the global consumer and professional markets. Smith & Wesson is world famous for its handguns and long guns sold under the Smith & Wesson®, M&P®, and Thompson/Center Arms™ brands. Through its Manufacturing Services Division, Smith & Wesson Corp. also provides forging, machining, and precision plastic injection molding services to a wide variety of consumer goods companies. 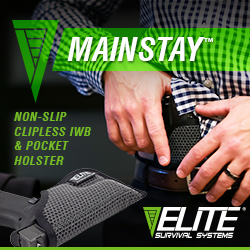 For more information on Smith & Wesson, call (800) 331-0852 or log on to www.smith-wesson.com.